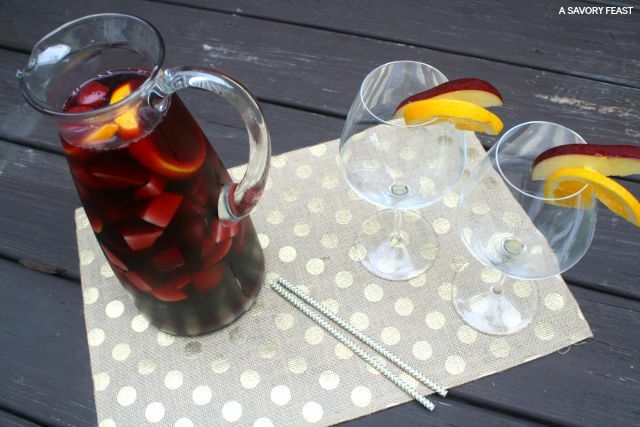 Celebrate the beginning of the Fall season with a homemade sangria. 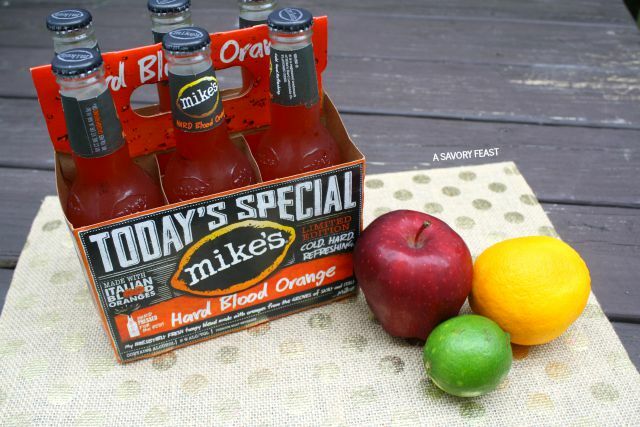 This Autumn Sangria is made with Mike’s Hard Blood Orange and plenty of fresh fruit. This post is sponsored by Mike’s Hard. The recipe and all opinions are my own. Fall is in full swing here at A Savory Feast, even if Florida weather doesn’t agree just yet. Last week I had a friend over for dinner and decided to use Mike’s Hard Blood Orange to make a homemade sangria. This season flavor of Mike’s is only here for a short time, so get it while you can! I’ve been making everything with either apple or pumpkin lately. 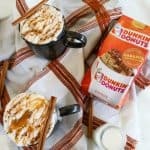 Those two ingredients just scream “Fall” to me. Loading this sangria up with fresh apples make it the perfect drink for Fall. I’ve always wanted to try making my own sangria, so I knew this would be the perfect opportunity. It was so much fun to make! Slice up apples and oranges and add them to a pretty pitcher. Then, add in the Mike’s, wine and club soda for a gorgeous Fall drink. This Autumn Sangria is great for entertaining, whether it’s a dinner with friends or a Halloween party. It takes a little bit of prep to cut up the fruit, but you’ll have it ready in minutes. 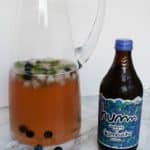 It’s such a beautiful drink that is sure to impress your guests! You’ll want to make sure you serve it almost immediately after making it, as it tastes best right away. If you have to wait for a few minutes, make sure to keep it in the fridge so it stays nice and cold. You can add a nice touch by reserving a couple slices of apples and oranges to garnish the edge of the glasses. Cute paper straws make it extra fancy, too! Layer the ice, apples and orange slices in a pitcher. Pour in the red wine, Mike's and club soda. Previous Post: « Crocktober Giveaway! I CANNOT WAIT to be able to drink sangria again. December can’t come fast enough – I’ve seen so many great fall sangria recipes, my mouth is watering! Sangria is the best! I love trying different ones, but Fall-themed Sangrias are my fave. This sounds perfect for fall get-togethers! Love Mike’s blood orange addition. Adding Mike’s Blood Orange was sooo good! You will love it. Oh man. 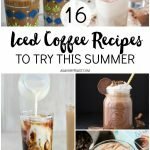 I haven’t been making many drinks lately, but this makes me want to jump on the wagon again! So delicious. Do it! You will have so much fun making this sangria. 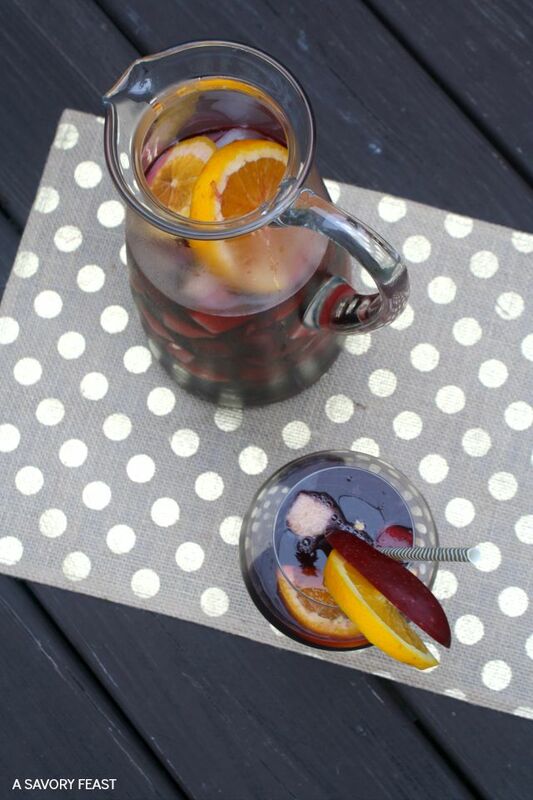 sangria is my favorite drink to make at home and this recipe looks delish!! I can’t believe I’ve never made it myself before! It was so fun and easy to make. Oh yum! 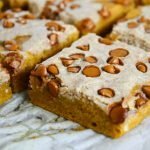 This is perfect for fall! Apples definitely scream Fall for me. They made this sangria so good! YUM! You can’t beat a homemade sangria, and I love how you used apples and oranges in this — it sounds delightful! Definitely gonna have to give it a shot soon! Apples and oranges go so well together in this drink! I hope you like it. Well this look so yummy!!! Thanks, Jen! I’m sure you will love it. Oh man I wish I could have this right now! Looks so good! Pinning for sure! Enjoy it! I need to make another batch. Oh I am so making this!! Do it! You won’t regret it. Sangria is just so pretty! This looks great! Isn’t it? I had a blast putting this together. 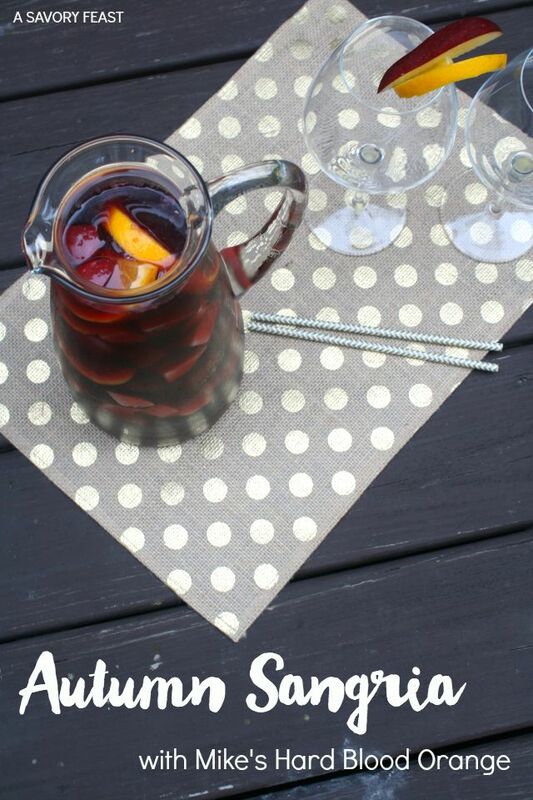 I have been looking for a sangria recipe to try and this looks great! I will be pinning this to try later this month! Thanks! You should try this one! Enjoy it. This looks yummy! I love sangria, with all the fruit. It just calls for a party! This recipe is perfect for entertaining! Enjoy. Yum! Sangria is one of my favorites! This looks so pretty, and fun! 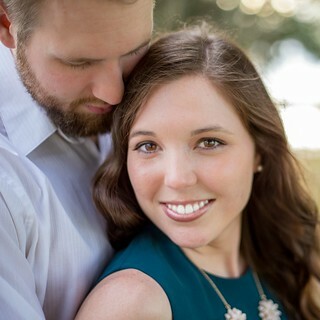 Stopping by from Shine Blog Hop! 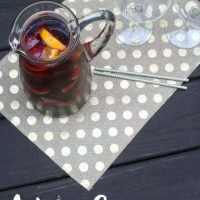 Sangria is one of my favorites as well, and it was so much fun to make! Thanks for stopping by. Oh my! I cannot wait to make this in a few weeks after baby’s here! This looks so delicious and I love that it’s made with Mike’s Hard. Such a unique recipe! It was such a tasty combination of flavors! I think you will really enjoy it. I need this in my life asap! I could go for another glass! It was really good and perfect for Fall. Can anyone suggest a red wine for this recipe??? I’m not a favorite of dry wines,don’t like how they leave your mouth dry afterwards. One of my favorite red wine is Jam Jar! And the Trader Joe’s two buck chuck is always delicious.